The release of the film has unsurprisingly seen a lot of controversy. 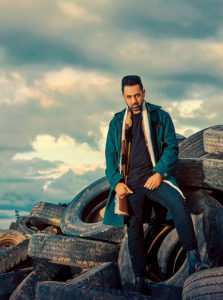 A petition was filed asking for a stay on the release date of the film, opining that it would sway voters’ mentality prior to the elections. 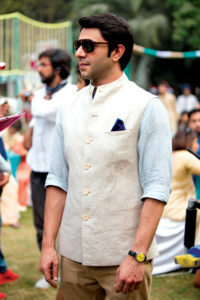 Earlier this month however, the Delhi High Court dismissed the plea and gave the makers a clear go ahead. As of now, the biopic seems to have made its way out of all the contention unscathed, despite the Delhi Chief Electoral Office issuing a notice to the makers for violating the model code of conduct. The makers are now eyeing a release on April 12. Pandit insists that he is not a politically inclined person, and the fixing of the release date had nothing to do with the approaching elections. 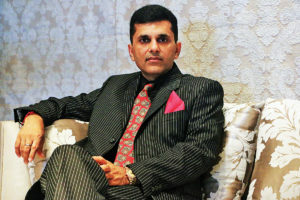 He says his concern is with Narendra Modi as a personality and an extraordinary leader. 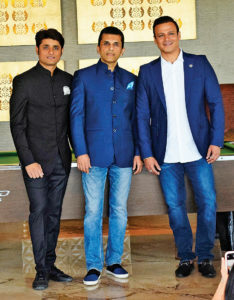 The films poster has already released in 23 languages, and Pandit, who hails from Ahmedabad, admits that he dreams of the day he will get to release the film in Gujarat. What prompted you to produce a film like this? As a producer, I am particular about the kind of film I back. If it’s not the script, then it’s the treatment or the star cast — the film has to have an X-factor. In PM Narendra Modi, it’s the story. It’s a story of perseverance, struggle and achievement. It is a story of a man of extraordinary capabilities. Having been witness to the rise of Narendra Modiji from the Chief Minister of Gujarat to the Prime Minister of the country, I was extremely keen to be a part of this epic movie. It is quite clear that you have a very personal sentiment for this film as well as for PM Narendra Modi. Could you tell us how and when that developed? Being from Gujarat, I have been one of the fortunate ones to see how Modiji changed the face of the state to make it one of the most vibrant ones in the country. Being elected thrice as the CM is no small feat. What I started admiring about him is the manner in which he indexed his performance. He is an action-oriented man, a solution-oriented leader. I would often wonder when will a biopic be made on the leader. 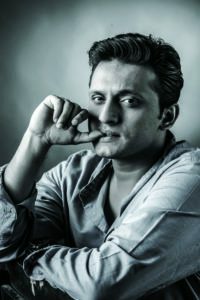 When Sandip Singh approached me with the thought of getting me on board as a producer for the biopic, I knew the time is right for this film to be made. Please respond to the comments about the release of the film being ‘politically motivated’. I welcome criticism but only constructive criticism. My only response to all those charges of the film being ‘politically motivated’ is that the film has been produced by independent producers with no political agenda. The film is paid content — one has to buy tickets in order to watch the film and consume the content. Thus, I find these charges exaggerated. Was there a particular reason for the release date to be set at this particular time? If so, what? For every film, there is a specific PR and marketing strategy. 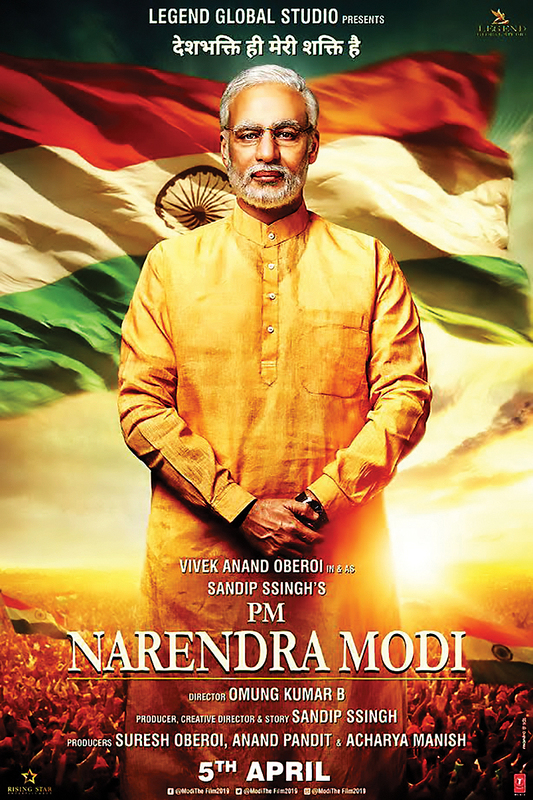 Similarly, for PM Narendra Modi, both Sandip and I felt that the curiosity around the film would be greater in the runup to the elections since poll-time lends itself to more conversations around our political class. You have mentioned that you cannot wait to release the movie in Gujarat. Why? Being a Gujarati, there is a strong connect with the state, even though I live in Mumbai. I know how the people of Gujarat see Modiji. In him, they see an inspiring leader and a great ambassador for the state. Modiji has put Gujarat on the world map and it makes us all proud. While he has his fans and supporters across the world, this film will be extra special for the people of his home state. When making a film about a political figure as prominent as Modi, how have you managed to keep the narrative of his political party out of the movie, as has been claimed? The biopic is not about the political party that Modiji is a part of. The film encompasses the journey of Modiji from a chaiwala to the Prime Minister. This biopic follows his life from childhood to achievement of his biggest dream. It’s a very personalised story of Narendra Modi.